Talking about this lense, there is always an expression such as 'soft-' etc.... However, you'll enjoy a crisp sharp image if you stop down 2-3 steps, i.e., f5.6. We do not recommend such use of this kind of lense the image would be somewhat suffer from scrawny touch. It is a heavy lense and its hood is well made with a craftsmanship. You might see this lense everywhere at the second-hand shop. The improved version with Apo- name is really expected. 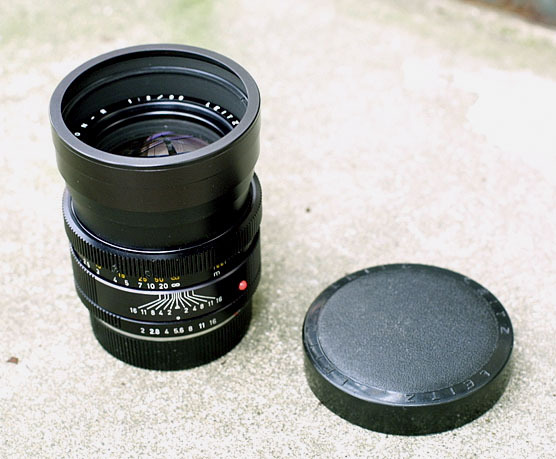 Summicron-R 90mm/f2 with its hood extended together with its lense-cap #14144, diameter 70mm. 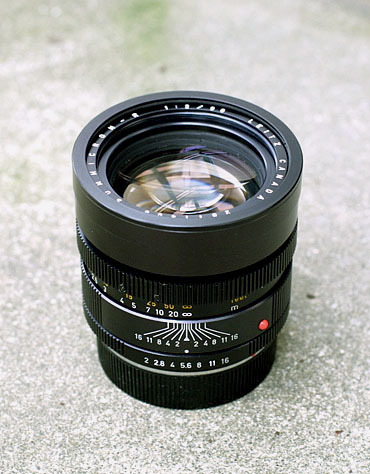 The latest version of this lense has the simpler hood mechanism the less impressive. 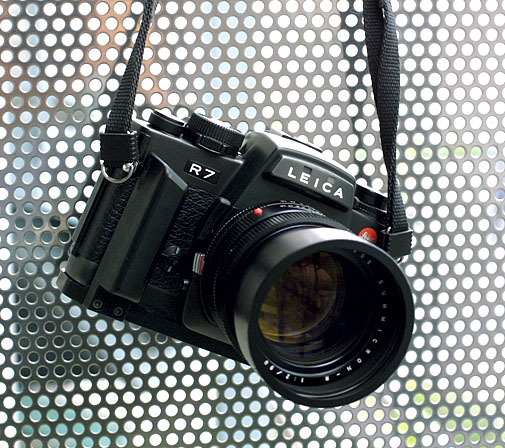 It is a robust lense with its image is slightly different from that of Summilux-R 80mm/f1.4 known as Leica's masterpiece of a kind. For the application such as portrait, we strongly recommend to use Summicron-R 90mm/f2 if the fine detail rendering is not essential. 作例に進む。click to see sample photos.